Complex infrastructure creates an app-data gap that disrupts data delivery and makes users wait. Closing the app-data gap requires predicting and preventing barriers to data velocity across the infrastructure stack, a challenge that often leads to costly downtime. 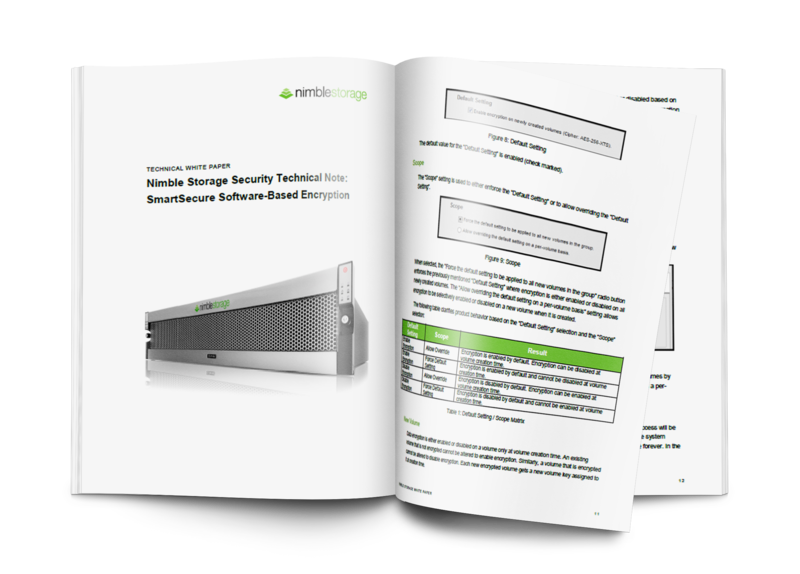 Beginning with an overview of the Nimble Storage SmartSecure software based encryption feature and a look at the implementation, this document is focused on deployment guidelines combined with administrative examples to assist in successful deployment of the feature. In addition, it provides descriptive examples of role based administrative privileges and alerts. 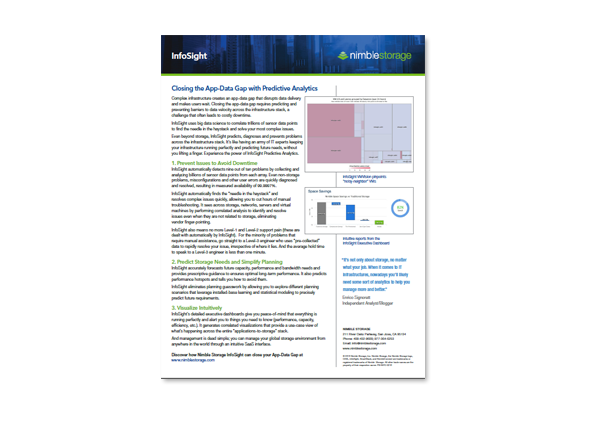 Nimble Storage Infosight, thanks to the recent introduction of a new set of features, is now capable of going much deeper than in the past and analyzing VM-level data. New integration with VMware vSphere allows to harvest real-time data from the hypervisor platform and its guests, enabling a whole set of new functionalities particularly useful for rapid troubleshooting and better resource management. Hyper-V High Availability and Disaster Recovery solutions can be implemented in many different ways. 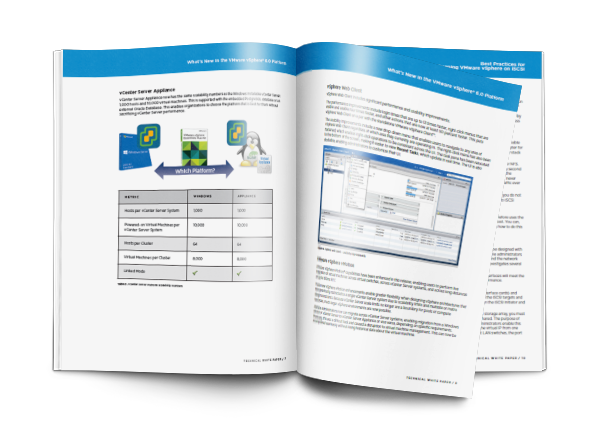 This reference architecture weighs the pros and cons of individual options for Hyper-V implementation to provide the most feature-rich protection architecture using Nimble Storage and Windows 2008 R2 Hyper-V. 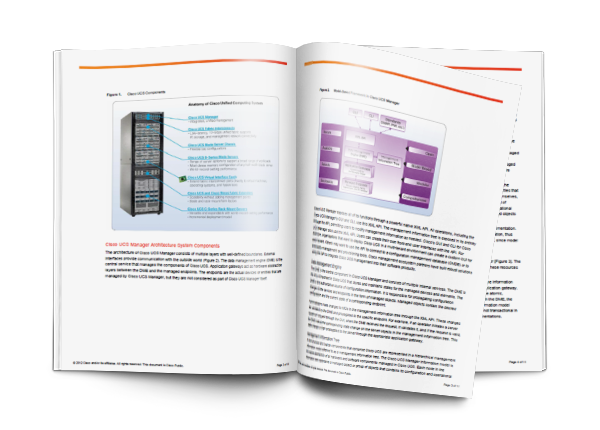 The purpose of this technical white paper is to describe the best practices for implementing Oracle databases on Nimble Storage running on Oracle Linux operating system. Microsoft SQL Server databases provide the data storage back end for mission-critical applications. Therefore, it’s critical to protect these applications to ensure data integrity and availability for transaction processing. Nimble Storage arrays provide I/O optimization and protection features that greatly benefit SQL Server implementations. VMware vSphere enables customers to transform current IT infrastructure into a private cloud. It provides a solid foundation with built-in availability, scalability, manageability and business continuity for the virtualization of business critical applications. If you want to take advantage of the built-in features such as vSphere HA, DRS, vMotion, Storage vMotion, shared storage is a requirement. Therefore storage planning and architectural design become imperative for the successful deployment of a solid foundational architecture that provides Infrastructure as a Service. Nimble Storage provides a revolutionary block-level storage platform that simultaneously improves storage performance and capacity. Block-level storage is perfect for application servers; however users typically share their work using File-level storage or Network Attached Storage (NAS). When considering NAS solutions, customers can either choose specialized NAS solutions or leverage more general purpose operating systems such as Microsoft Windows or Linux. 2. Hosted Virtual Desktops. Up to 1,000 individual XenDesktop Hosted Virtual Desktops running Windows 7 Enterprise x64. 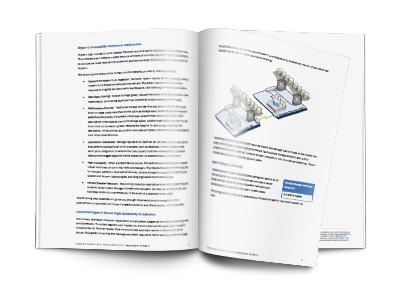 Virtualization enables dramatic increases in utilization and efficiency. However, without proper planning, virtualization can present major challenges, which include greater complexity, higher management costs, and time-consuming backups. One key consideration in launching a virtualization project is choosing the correct storage platform. Unfortunately, today’s legacy storage platforms were designed before virtualization, high-density disk drives, and flash memory were introduced. This document describes the Nimble Storage SmartStackTM reference architecture for virtual desktop infrastructure (VDI) based on VMware Horizon View and virtualized business critical applications (BCA) from Microsoft, including Exchange, SQL Server and SharePoint. VMware vSphere serves as the hypervisor for both VDI as well as the business critical applications. The hardware solution includes Cisco UCS® B-Series Blade Servers and Nimble Storage CS-Series storage appliance. 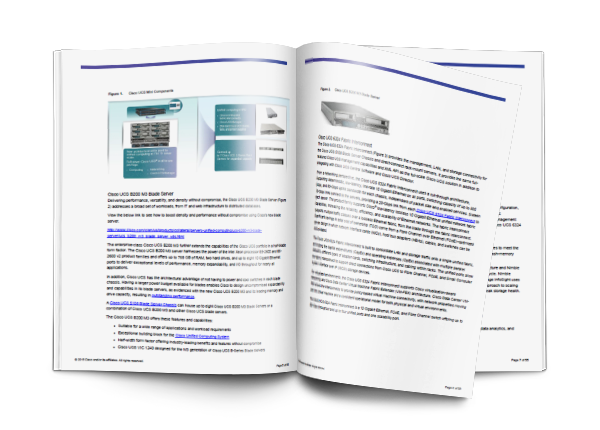 This document describes the reference architecture for desktop virtualization with storage for up to 1000 virtual desktops based on VMware View 5.1 and VMware vSphere 5, built on Cisco UCS® B-Series Blade Servers and Nimble Storage CS-Series storage appliance. Cisco UCS™ Manager provides unified, embedded management of all software and hardware components of the Cisco Unified Computing System™ (Cisco UCS) across multiple chassis, rack-mount servers, and thousands of virtual machines. Cisco UCS Manager is a device manager that manages Cisco UCS as a single entity through an intuitive GUI, a command-line interface (CLI), or an XML API for comprehensive access to all Cisco UCS Manager functions. 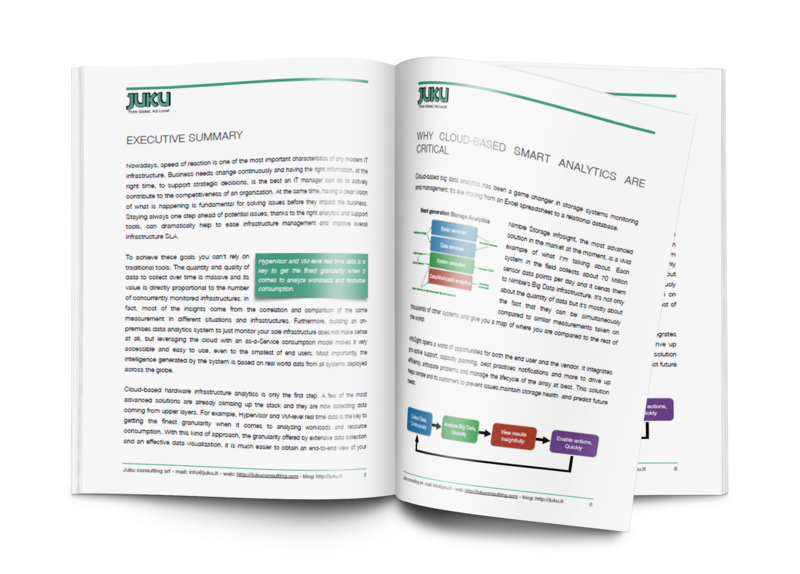 Enterprises are seeking to balance the need for large, centralized data centers and the need for excellent user experiences in remote and branch offices with larger user communities. Small and medium-sized businesses are seeking ways to run a compact, self-contained computing infrastructure that is economical and efficient and that offers the potential for growth. VMware vCloud Suite lets you build and operate your software-defined data centers based on vSphere. vCloud Suite contains components that can be integrated to deliver IT as a service. Flash memory is revolutionizing data storage, bringing an unprecedented level of performance that legacy storage systems simply can’t match. It serves as an excellent complement to the large capacities of hard disk drives. Nimble’s CS-Series arrays seamlessly integrate flash memory with high-capacity disk drives. Combining Nimble CS-Series arrays with Veeam® Backup & Replication™ provides a complete storage solution and a comprehensive, easy-to-manage backup and recovery solution for any virtual environment. VMware offers and supports a number of different storage technologies and protocols for presenting external storage devices to VMware vSphere® hosts. In recent years, the iSCSI protocol has gained popularity as a method for presenting block storage devices over a network to vSphere hosts. VMware has provided support for iSCSI storage since Virtual Infrastructure 3. 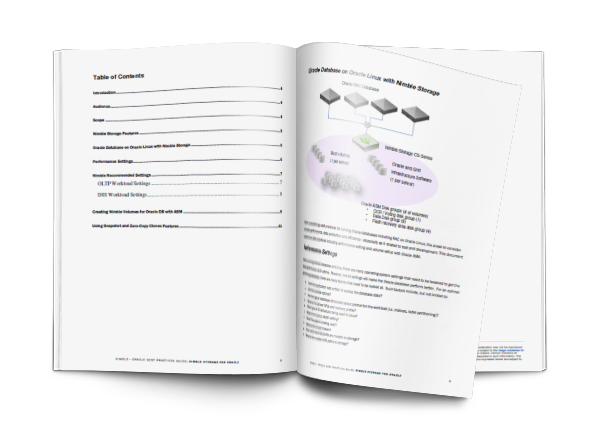 This paper can help you understand the design considerations and deployment options for deploying vSphere infrastructures using iSCSI storage. It highlights trade-offs and factors to consider when deploying iSCSI storage to support vSphere environments. It is a complement to, not a replacement for, VMware® product documentation. VMware vSphere® 6.0 introduces many enhancements to VMware vSphere Hypervisor, VMware virtual machines, VMware vCenter Server™, virtual storage, and virtual networking. This paper will discuss these improvements that further extend the core capabilities of the vSphere platform. Storage plays a critical role in the virtual datacenter, responsible for the performance of applications and the availability of data. Storage is also undergoing a transformation with the use of solid state drives and integrated data management functionality. This paper demonstrates how Nimble Storage flash-optimized systems are engineered to efficiently scale performance and capacity, keep data protected and available, and make IT more productive and empowered to take on new projects. 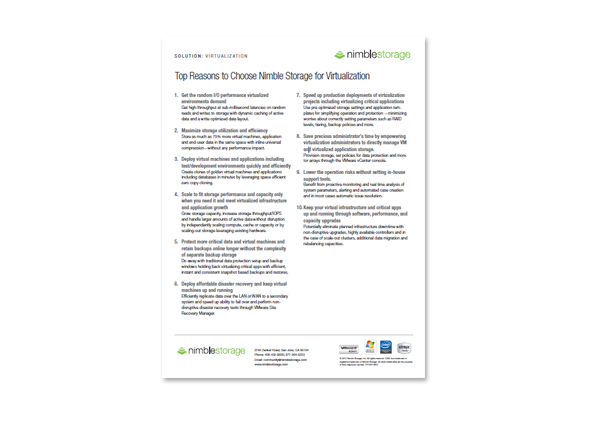 This paper explains how Nimble Storage solutions cost-effectively scale to customers’ specific capacity and performance requirements. Customers can non-disruptively and independently scale capacity, cache, or compute; or combine multiple arrays in a scale-out storage cluster. How Nimble Storage leverages the power of big data and cloud technology to achieve greater than 99.999 percent availability.